In a recent consolidated opinion, In re City of Houston and In re The Government of the District of Columbia, the Federal Circuit held that the Lanham Act bars the registration of municipality insignia as trademarks, even when it is the municipality that seeks protection of its own insignia. 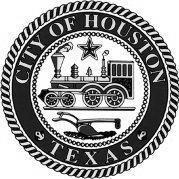 In its application for registration, Houston specified “municipal services” and “city administrative services,” while the District of Columbia specified clothing items, cups, pens, and other merchandise. In underlying appeals from examination refusals, the USPTO’s Trademark Trial and Appeal Board upheld the refusals, ruling in each appeal that Section 2(b) of the Lanham Act bars registration of a mark that “Consists of or comprises the flag or coat of arms or other insignia of the United States, or of any State or municipality, or of any foreign nation, or any simulation thereof.” Houston and the District each agreed that the official seal of a municipality is considered to be “insignia” under Section 2(b). The municipalities argued that the 2(b) prohibition applies only when a third party seeks to register a municipal insignia, and does not apply when the applicant is the municipality itself. Each municipality presented separate arguments. Houston argued that a municipality, as a government entity, is not an “applicant” under Section 2(b). Houston predicated its argument principally on Section 45 of the Lanham Act, which in its definition of “applicant” allows for a different construction of “applicant” when “plainly apparent from the context.” Relying further on policy rationales and legislative history, Houston argued that the Lanham Act envisioned that municipalities could be “applicants” when seeking to register their own insignia. The Federal Circuit disagreed. Rejecting Houston’s invitation to delve deeply into the legislative history of the Lanham Act, the court held the plain language of Section 2(b) expressly bars the insignia of a municipality such that there was no need to inquire further into the legislative history. In support, the court referred to other neighboring provisions of the Lanham Act as comparable examples of clear Congressional intention. The court suggested that Houston could ask Congress to amend the Lanham Act, but that the act as written precluded Houston’s registration. 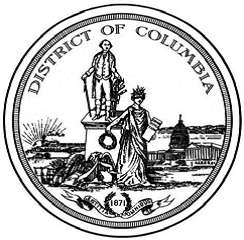 The District of Columbia presented a distinct argument, asserting that the international obligations of the United States under the Paris Convention required the USPTO to allow registration of municipal insignia. The District pointed to legislative history of the Lanham Act and provisions of the Paris Convention to argue that the court should interpret Section 2(b) in a way consistent with asserted obligations of the United States to register official insignia that were registrable in other member countries. The Federal Circuit again disagreed, relying primarily on the plain language of Section 2(b). With regard to the Paris Convention, the court held that this had limited applicability, stating “whatever obligations the United States has under [the relevant Article of the Paris Convention] relate to emblems of countries, not emblems of local public bodies such as municipalities.” As such, held the court, Section 2(b) is not inconsistent with U.S. treaty obligations, particularly as applied to U.S. municipalities. The Federal Circuit declined to consider other examples postulated by the District, as determinative of the rights of hypothetical parties not presently before the court. The Houston / District of Columbia decision is expected to have limited applicability. Notably, the USPTO’s examination guidelines interpret “insignia” “to include only those emblems and devices that also represent governmental authority and that are of the same general class and character as flags and coats of arms.” Other governmental emblems are not subject to the Section 2(b) prohibition. For example, departmental logos (such as the National Park Service arrowhead design) have long been held to be registrable (see In re U.S. Dep't of the Interior, TTAB 1964). Nonetheless, the decision is significant to municipalities and other state entities seeking federal registration for governmental marks. For more information, please contact Fitch Even partner John E. Lyhus.